The outdoors brand is backing environmentally friendly candidates. Jon Tester, Democratic senator from Montana, is an advocate for hikers and hunters, an organic farmer, and a man seemingly so in touch with the circle of life that he brings his own butchered beef through airport security when he travels from Montana to Washington D.C. All this, at least, according to Yvon Chouinard, the founder of Patagonia, which is endorsing candidates for Senate for the very first time this year (Experts tell The Washington Post it may be the first time any brand's explicitly endorsed specific candidates). The only way that description of Tester-who's up for reelection next month-could be more on-brand for the outdoor gear brand is if it mentioned that he did it all while wearing a Synchilla Snap-T. But after taking on the president in a campaign last year, Patagonia is now politicking on a local level by endorsing two candidates for the Senate: Tester and Nevada Democrat Jacky Rosen. Patagonia says that the decision to endorse its first senate candidates is fueled by the same issue that riled the brand up against President Trump. Both Tester and Rosen are candidates that Patagonia feels will fight for public lands and environmentally friendly policies. "We are supporting Jon Tester because he gives a damn about protecting public lands-and, like us, he's committed to fight back against anyone who doesn't," Chouinard said in a statement, citing "Republicans in Congress who only serve the fossil fuel industry." The brand went after Trump back in December of last year, after it was announced that he was rolling back protection on national monuments in Utah. When you went to the Patagonia website that day, images of smiling outdoorsy folks were replaced with a stark black image that read: "The President Stole Your Land." 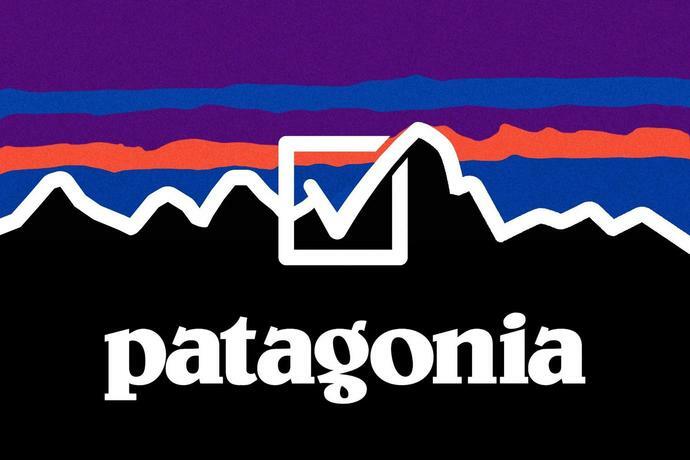 Patagonia will replicate that strategy this time around, amending its website to visitors everywhere with a black background and text that reads, "Democracy Requires Showing Up" and "A vote for Jon Tester/Jacky Rosen is a vote for public lands." The national monuments in Utah that Patagonia sought to help in Utah were successfully saved. Now, the brand is working at the senate level, hoping to effect change in a massive midterm election-and perhaps contribute to the fabled "blue wave" to return control of the House and Senate to Democrats. Of course, it's also worth noting that while it's entirely possible, and likely, that Patagonia cares genuinely about public lands, the brand is also deeply invested in the success of public lands. Fewer places to hike, hunt, fish, and climb means fewer Snap-T sales. The strategy is also good business more broadly: the brand's sales skyrocketed the last time it made an in-your-face political statement, garnering good will among fervent resistance-minded social media users. And since Patagonia's shot at the president we've seen corporations like Nike jump into more political, divisive topics and find similar financial success. In Tester, Patagonia is backing a candidate who is already well liked-"Did Hell Freeze Over? My Republican Dad Is Voting for a Democrat," reads the headline of a recent New York Times op-ed about the incumbent senator-and is projected to win the race handily. Rosen, though, is a different case. She's in a tight race against Nevada's current senator Dean Heller, who is favored to win. (FiveThirtyEight gives Rosen a 44 percent chance of pulling out the victory.) The average temperature in Nevada on November 8th-election day-is 70 degrees. That might be just chilly enough to line up outside the polls in a Patagonia fleece.